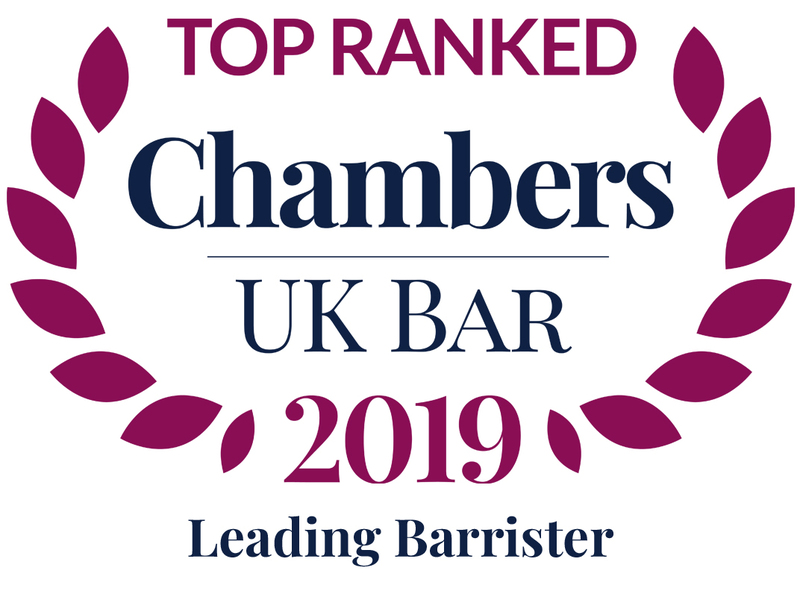 Described as a “tenacious and talented young barrister” by Chambers & Partners, Tim maintains a busy general common law practice that includes personal injury claims, insurance litigation (including credit hire litigation and motor fraud) and costs litigation. He appears in court on a regular basis, and advises in writing with a short turn-around time. In addition, he has extensive experience of inquests and of defending Health and Safety prosecutions. Temple Garden Chambers has been ranked in Chambers & Partners as the only Band 1 set for motor insurance fraud. Tim was ranked as a leading junior in this area, with his strengths including being “tenacious, economical and full of ideas”. It was also said that he “inspires confidence”. Tim’s work in this area includes drafting defences on behalf of insurers in fraud cases, as well as advising in conference and in writing. Tim is also regularly instructed by Claimants in cases where fraud has been alleged. Tim also has experience of contempt of court proceedings in the context of motor insurance fraud cases, acting for applicants and respondents. Lead by Andrew Prynne QC, and working with Shaman Kapoor, Tim has recently been instructed on a Chancery Division enquiry into profits allegedly made in breach of fiduciary duty. The value of the claim is said to exceed £100 million, and the matter is ongoing. Further, Tim continues to be instructed by the State of Libya in relation to ongoing litigation concerning their recovery of a valuable property in central London that was purchased with funds misappropriated from Libya by the Gaddafi regime. Tim’s recent experience of costs includes representing the Respondent in the Court of Appeal in Walker Construction v Quayside Homes  EWCA Civ 93. His costs work includes cases arising from interpretation of the new costs regimes introduced after the Jackson report, including Fixed Costs cases, Qualified One Way Costs Shifting, and issues arising from “fundamental dishonesty”. Tim has many years of experience in dealing with credit hire cases. He is regularly instructed to deal with cases involving disputes as to rates, period of hire and issues of enforceability of the agreement. In addition, he has been instructed in claims where insurers suspect that fraudulent claims are being made, and where Claimants suspect that fraudulent rates evidence has been provided. Tim represented Balfour Beatty at trial in the manslaughter prosecutions arising out of the Hatfield train crash, and later on the successful appeal against sentence. Since then, he has been regularly involved in health and safety cases and in inquests. Recent inquests have included acting for travel companies in relation to deaths on trekking expeditions, for a nursery school manager in relation to the death of a child who choked on a cube of jelly, and for a country house estate in relation to the death of a gardener. Legal 500 has listed Tim for Health and Safety in the 2015 edition. Tim has a busy personal injury practice, representing both Claimants and Defendants. Tim is authorised to accept work from the public on a public access bases. Recent work has included representing a basic hire rates survey company and individuals in connection with inquests. Keith Morton QC, Tim Sharpe, Robert Riddell and Elizabeth Gallagher are instructed by the Head of Legal Services at South Yorkshire Police in connection with the Group Litigation Order (“GLO”) granted in November 2016. Tim Sharpe (instructed by Miles Cowan of Horwich Farrelly) represented Hastings Insurance on a committal application on 9th August 2017. In summary, Mr Egner’s van was damaged by a driver insured by Hastings, as a result of which that individual was prosecuted for criminal damage. Mr Egner later presented a claim to Hastings for back injuries allegedly sustained by him in that incident. His claim was set out in various documents bearing statements of truth. First instance decision on the applicability of the impact of the Cancellation of Contracts Made in a Consumer’s Home or Place of Work Regulations 2008, and the effect of breach of the same on a Claimant’s claim for credit hire charges. Upheld on appeal and now a leading decision on this issue. Prosecution of a Port and the Managing Director over a fatal accident involving a Port visitor. Please see link below for Issue IX of TGC Fraud Update, a publication we have set up with the stated aim of facilitating the sharing of information about decided claims involving issues of road traffic fraud and related matters. Please see link below for Issue VIII of TGC Fraud Update, a publication we have set up with the stated aim of facilitating the sharing of information about decided claims involving issues of road traffic fraud and related matters. Please see link below for Issue 5 of TGC Fraud Update, a publication we have set up with the stated aim of facilitating the sharing of information about decided claims involving issues of road traffic fraud and related matters. Please see link below for the February issue of the TGC Fraud Update. Tim Sharpe (instructed by Stephen Winterton of DWF) represented the driver of an HGV that was involved in a collision with a cyclist (Dr Peter Fisher) on High Holborn in August 2018. TGC Fraud Update July 2018, a publication we have set up with the stated aim of facilitating the sharing of information about decided claims involving issues of road traffic fraud and related matters. Tim Sharpe (instructed by Miles Cowan of Horwich Farrelly) represented Hastings Insurance on a committal application before HHJ Moloney QC, sitting as a Judge of the High Court in the Norwich District Registry, on 9th August 2017. The application for committal of the Claimant (Mr John Egner) was based on false statements made in document bearing statements of truth, namely his Claim Form, Particulars of Claim and Part 18 Replies. TGC Fraud Update May 2017, a publication we have set up with the stated aim of facilitating the sharing of information about decided claims involving issues of road traffic fraud and related matters. I am registered with the Information Commissioner’s Office (ICO) as a Data Controller for the personal data that I hold and process as a barrister. My registered address is Temple Garden Chambers, 1 Harcourt Buildings, Temple, London, EC4Y 9DA and my registration number is Z2398823. The legitimate interests of myself, or a third party, except where such interests are overridden by the interests, rights or freedoms of the data subject – I use people’s data in ways they would reasonably expect and which have a minimal privacy impact, and/or where there is a compelling justification for the processing (being related to their pursuit or defence of litigation or other legal processes). You may request access to, correction of, or a copy of your information by contacting me at Chambers (address above).